Great authentic Greek food, friendly staff. Open for lunch and dinner. 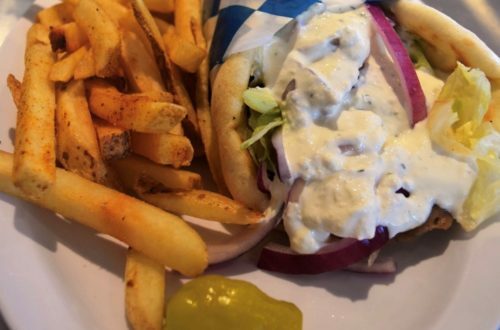 Try the Greek platter, pitas, wraps , soups, falafel , gyro, or burgers. 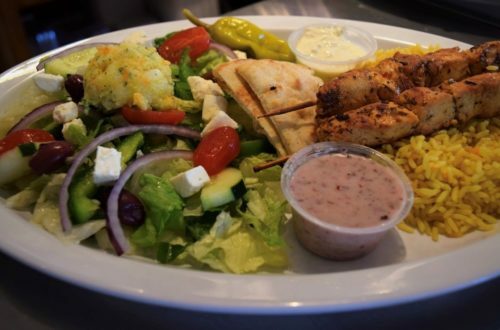 Specialties include spanakopita (spinach pie), dolmades (stuffed grape leaves), souvlaki (chicken skewers), and blackberry ombre cake with vanilla icing.